Sean Michael Wilson returns with the next installment of THE STORY OF LEE. Matt and Lee’s relationship reaches new levels as the pair head to UK where a new life awaits. The series explores the intricacies of international love, one that crosses barriers of country, culture, and language. Well known Japanese artist, Nami Tamura, provides the art for this volume. Author Sean Michael Wilson is blogging about the progress, see his posts here on the NBM Blog! Be sure to order today from your favorite comic book store in August’s Diamond Previews Magazine. 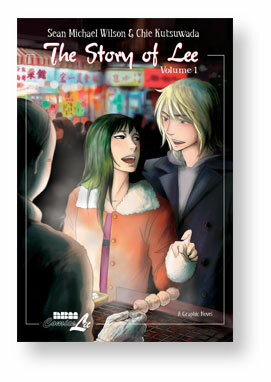 Don’t miss THE STORY OF LEE- Volume 1 to get caught up on this love story. Comics Bulletin said “I very much enjoyed ‘ The Story of Lee.’ It took me to a place I’d never been before – not just Hong Kong, which Wilson and Kutsuwada bring vividly to life. 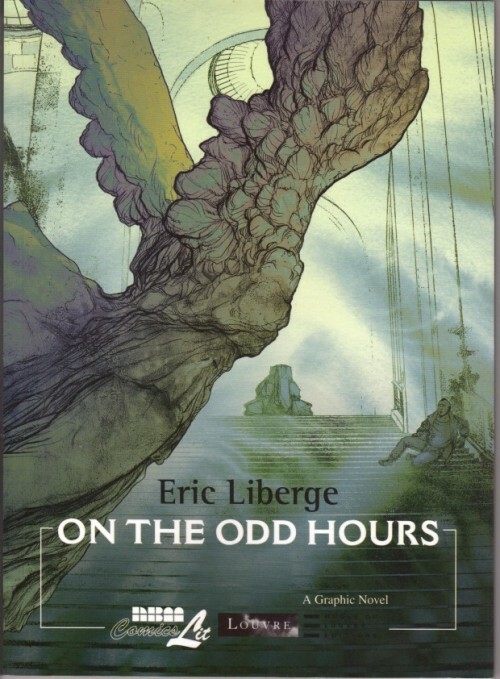 But equally as interesting was the way that the creators explore the worlds of their interesting and complex characters. It’s the worlds of these characters that makes ‘The Story of Lee’ so memorable.” The world of today is so connected as young people are branching out and exploring the world, coming in contact with diverse cultures outside of their comfort zone. Watch how the relationship blossoms between Matt and Lee, from their first meeting to dealing with others’ perceptions of their cross-cultural courtship. Illustrated by Chie Kutsuwada. 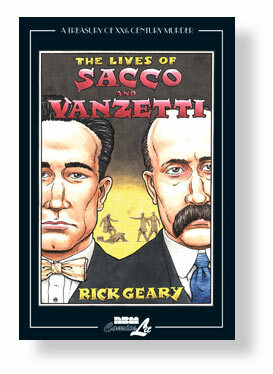 For previews, interviews, or to buy the book from our website- click here. It’s always nice to see that a book lives on beyond it’s release date. Hopefully being shared and recommended to like minded readers. 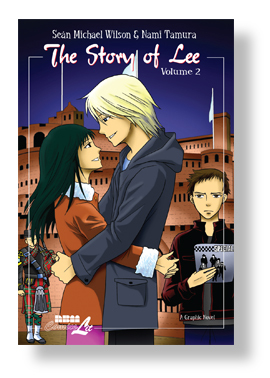 “Drawn with the iconic faces and screen-tones manga aficionados cherish, and written with the sensitivity to the passion of first love, The Story of Lee is a story to move any heart. Several months after it’s release, Ernie Colón’s Inner Sanctum is still gathering new readers. Altering the support of sounds for the support of pictures is only part of Colón’s work here: his choices of panels and perspectives come to the fore to create a new—but loyal—way of experiencing what started as actor’s voices. I came back from Glasgow, where I attended Glasgow Film Festival and talked about manga in general and my work, of course including the Story of Lee, with Paul Gravett and Sean (via Skype! ), last night. At the talk, I showed this image to the audience and explained my working process. When I create stories by myself, I automatically know who the main characters are and how they act and react. But when I’m working with the writers, in this case Sean, I need to read the script again and again and again, then digest it until I feel familiar with the characters and understand why they act like as the writer wrote. 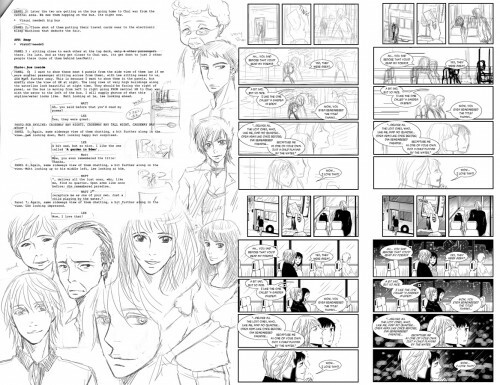 This process is very very important to me and sometimes it takes me quite long time to go through some scripts. Once I do this part deeply, the rest is easier. When I’m ready and feel like I can see what the characters look like and how they move etc, I naturally start making memos and sketches. 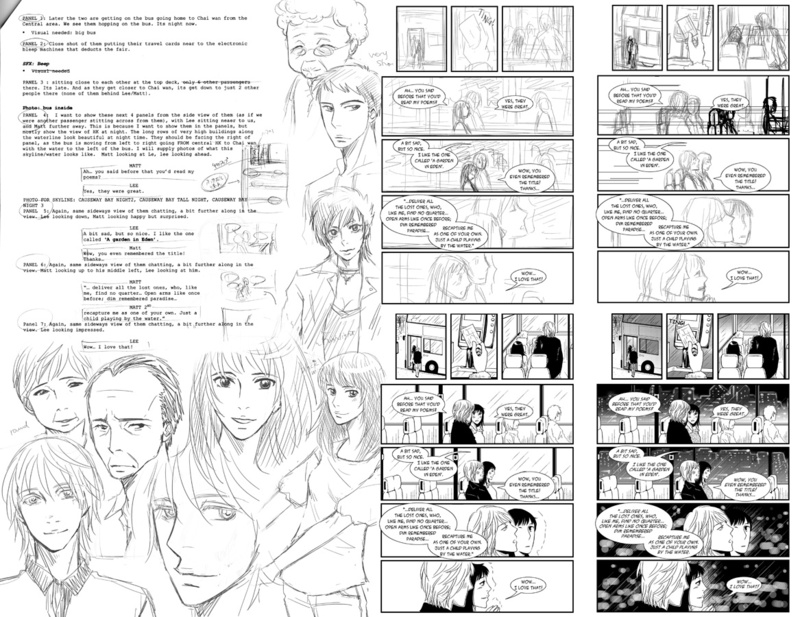 At the stage of a page arrangement, one of the most important things for me is the position of speech bubbles. They will lead the eyes of the readers and make a flow of a page and the entire story. So I am very careful where I put them. Well, I can explain how I do forever so I’ll stop here. At Glasgow, the talk was successful and I really enjoyed my stay. Oh if you are around the area, you can buy a copy of the Story of Lee from Centre for Contemporary Arts, Glasgow while the Film festival is on (and you should have lunch at the CCA cafe since they serve some wonderful meals! ).